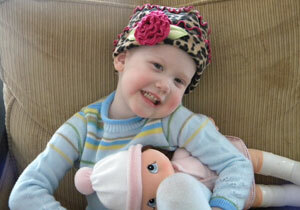 Brooklyn was diagnosed with Acute Lymphoblastic Leukemia (ALL) on November 11, 2009. 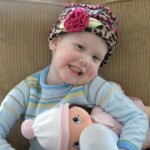 She is currently in delayed intensification and was just released yesterday from her 4th hospital stay. She is doing very well and you would never know that 5 days ago she was in the PICU. I just wanted to thank 1st and foremost her oncologist Dr. Savelli and all of the wonderful nurses who are so sweet and caring. Thank you to Akron Children’s Hospital for saving my sweet Brooklyn’s life. She still has a long road ahead of her, but the future looks bright and we are so grateful for that! !